The Wayne County IDA is joining the Village of Newark, Greater Newark Chamber of Commerce, and Wayne County Farm Bureau to host Taste of Wayne County for a second year. 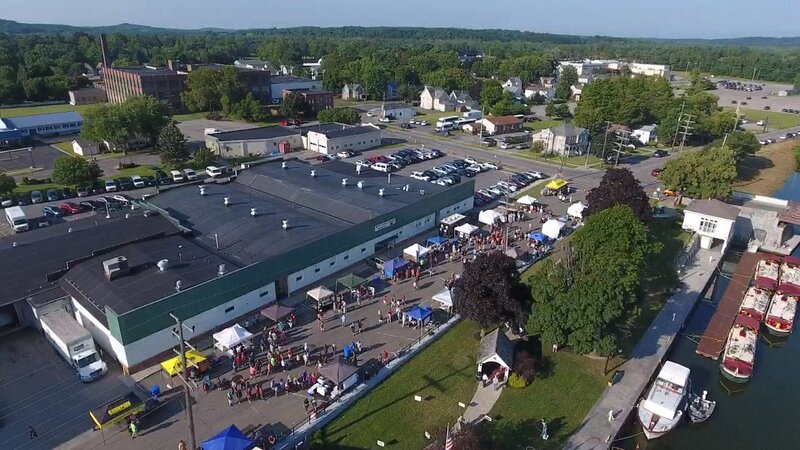 The outdoor event will be held on Tuesday, July 17, 2018 from 4:30 to 8:30 PM along VanBuren Street from Main Street to East Avenue, and in the T. Spencer Knight Canal Park. The Taste of Wayne County was created to showcase food and drink related businesses solely from Wayne County through samples of their “signature” dishes, food products, or beverages. Vendors this year include local wineries, stores, restaurants, food trucks and farms. This community event attracted over 800 attendees in 2017. Entertainment will be provided by local church and school groups as well as music by Johnny Bauer from 6:00-8:30. Pre-sale tickets are $10 for 15 samples and will be on sale through Sunday, July 15 at Newark Wegmans, Wayne County Lyons National Bank branches, the Newark Chamber office or online at www.tasteofwaynecounty.org. Tickets can be purchased at the gate for $1 per sample. The first 500 event goers will receive a free event bag. Vendors are still being accepted, please contact the Greater Newark Chamber of Commerce office at 315-331-2705 or via email: support@newarkchamber.org for more information.